In this electrifying thriller, two women from opposite sides of the country find their lives inextricably bound by blood, by fear, and by a merciless, murderous revenge . . . Walking home from a dance on a foggy autumn night in rural New York, Marly Shaw sees a flash of approaching headlights. A pickup truck stops and two men get out. One of them is her stepfather. She runs. They follow. Minutes later, gunshots ring out. Two men are dead, and one terrified girl is running for the rest of her life . . .
Thirteen years later, human bones are discovered in the Santa Cruz Mountains of California. DNA tests reveal they belong to a mother and son from Central New York. Both have criminal records. Assault. Involuntary manslaughter. Maybe more. Santa Clara County Sheriff Detective Vanessa Alba wants to know how these backwater felons ended up so far from home. 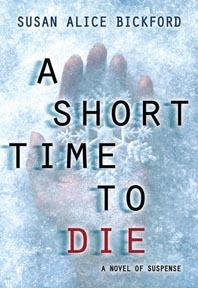 Vanessa and her partner, Jack Wong, head to the icy terrain of the Finger Lakes to uncover the secrets of a powerful family whose crimes are too horrifying to comprehend. Whose grip over a frightened community is too strong to break. And whose twisted ideas of blood and honor are a neverending nightmare for the one family member who thought she got away . . ."